X, the moonshot wing of Google’s parent company Alphabet, announced today that a new cybersecurity project called Chronicle is “graduating” to become a fully-fledged company. X functions as an incubator for Alphabet’s more experimental endeavors, like self-driving cars or giant balloons that deliver internet connectivity, and Chronicle is the first cybersecurity company it has launched. According to a blog post from Chronicle’s CEO Stephen Gillett, Chronicle is an enterprise platform that will use artificial intelligence and machine learning to “help enterprises better manage and understand their own security-related data.” The company will also include VirusTotal, the malware analytics company that Google acquired in 2012. For a moonshot, none of this sounds very moonshot-y. In fact, it sounds a lot like the pitch for a number of other enterprise cybersecurity companies that have been offering AI-assisted threat detection for years. The concept boils down to the idea that there are more hackers and online threats than there are cybersecurity professionals to respond to them, so the industry needs a boost of artificial intelligence to keep up. So what’s different about Chronicle? “We’ll share more on the technology and what differentiates it at a later date,” Gillett told reporters this afternoon. For now, it seems that Chronicle is relying on its association to Google in order to stand out from the AI-assisted cybersecurity cloud. 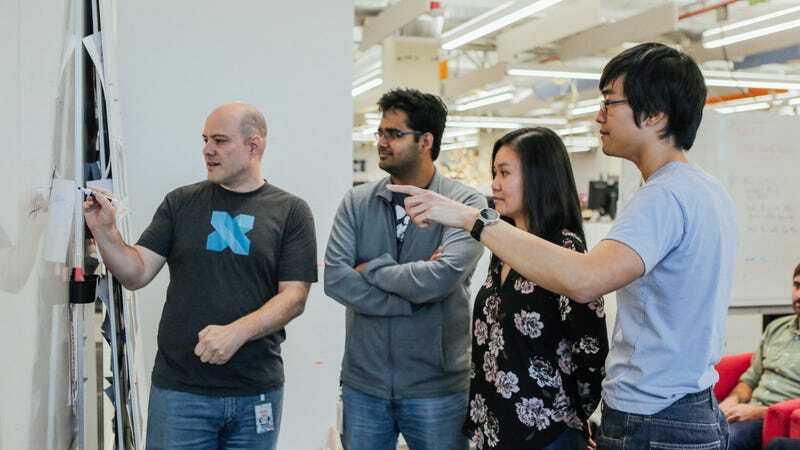 “We have access to—proximity to—some of the best machine learning and artificial intelligence teams in the world,” he said. It sounds like Chronicle will also lean on Google Cloud’s storage capabilities, allowing companies to store more threat intelligence data than they could on their own. “We’re building and running Chronicle on the same fast, reliable infrastructure that runs a range of Alphabet initiatives,” Gillett said. “Providing better capabilities for finding the patterns in that data might not sound like much, but shrinking the time between when an attack starts and when it’s discovered (from a few months to a few hours or days) could reduce a lot of damage — and teach us what other technologies and capabilities might help us turn the tide against a widening array of vulnerabilities and attackers,” he added. So, even if Chronicle sounds like exactly what you’ve seen at a million vendor booths during RSA, X doesn’t want you to count it out quite yet. The brand-new company says it already has a handful of Fortune 500 companies as beta testers for its product.